Here at Games People Play we carry a large selection of air hockey supplies. No matter what your looking for we carry it! 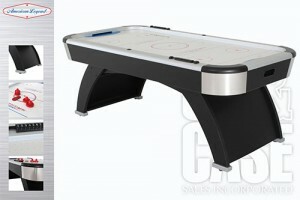 Listed are just a few models of Air Hockey Tables that we’ll have in sizes ranging from 6ft – 8ft! 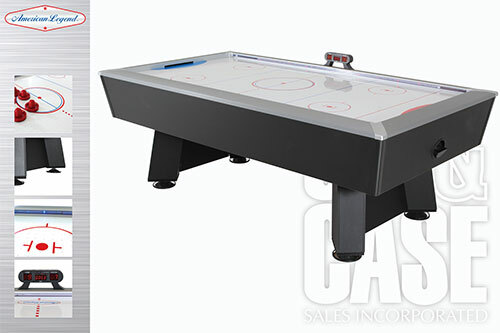 This premium table is 50” W x 96” D x 32”H when assembled with a commercial grade blower and air chamber channels for maximum airflow to every square inch of its super-slick playing field. Assembled weight is 272 lbs. 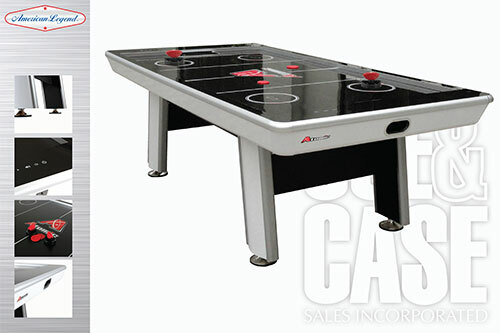 This modern look table is 48” W x 96” D x 32”H when assembled with a 120V blower motor (60Hz, .9A). hockey table from Atomic. 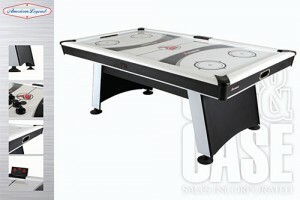 This modern look table is 48” W x 84” D x 32”H when assembled with a 120V blower motor (60Hz, .9A). 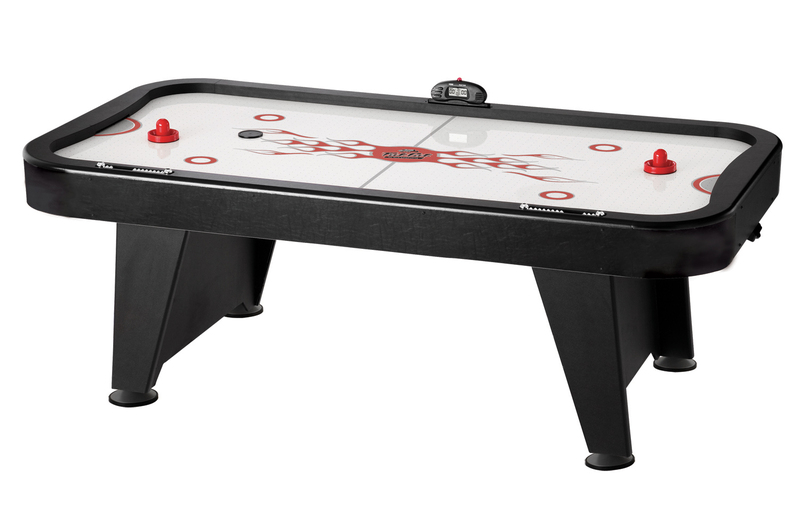 This table is just like those you remember from your days playing in the arcade, with full aluminum rails for super-quick rebound, dual blower motors for real “air” hockey puck speed, and extra large framing for durability. 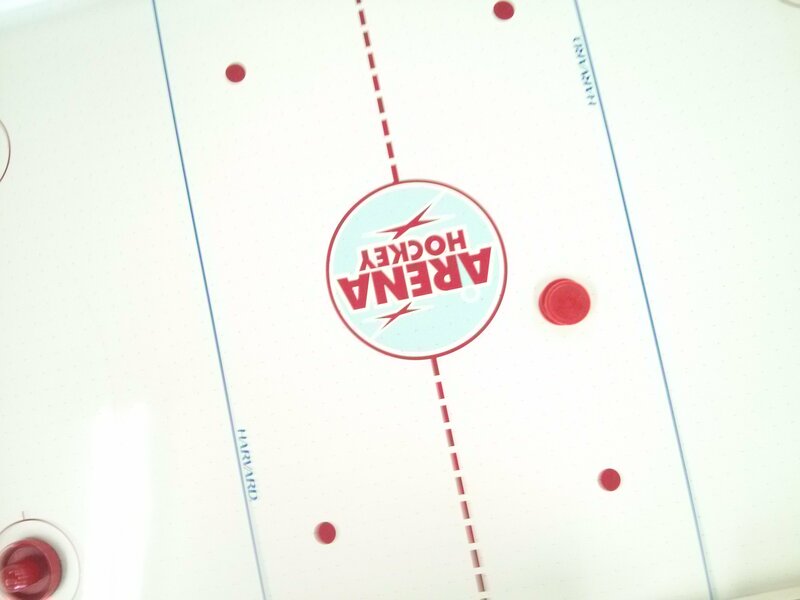 And with the included Extreme Hockey™ blind, an adjustable visual barrier that hides your shots from your opponent until the last second, and you’ve got an added layer of fun over the standard game. Need an even faster and more challenging game? Lower the Extreme Hockey™ blind. 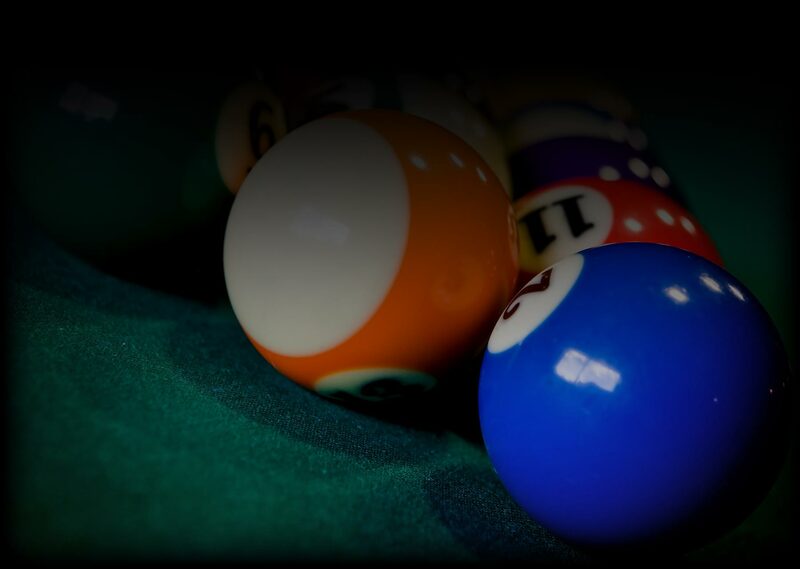 The lower it goes, the less time you’ll have to react to each shot and the faster the game plays. 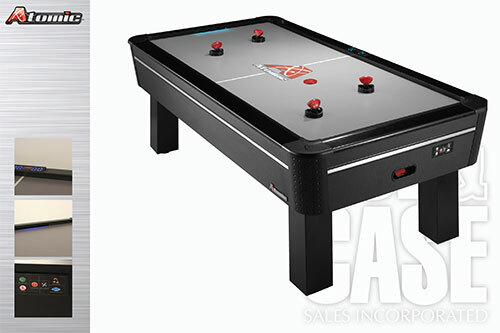 This table features an interactive lighting system that flashes red, blue and white LEDs down the length of the field to indicate who is in the lead. 6’ air hockey table from Redline. 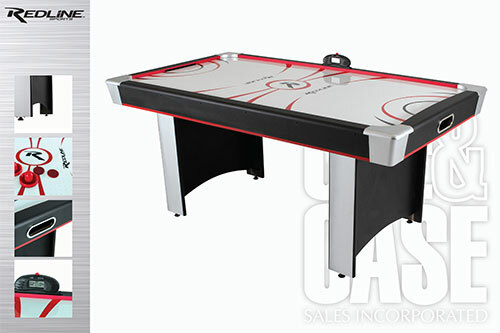 This table is 40” W x 72” D x 32”H when assembled with a 120V blower motor (60Hz, .31A).